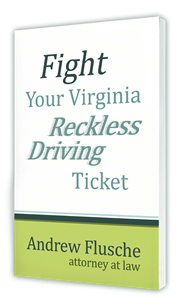 Is Texting Reckless Driving in Virginia? A recent case made headlines here in Virginia because the judge dismissed a reckless driving charge that was brought against a driver who struck and killed a pedestrian. The evidence essentially showed that the driver was probably reading a text message when his vehicle struck the pedestrian. There was no other evidence of other distractions or impairment. The Commonwealth charged the driver with reckless driving, which carries up to twelve months in jail. 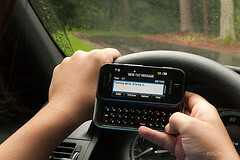 However, the defense argued that texting while driving is only a traffic infraction in Virginia. By passing a specific law against texting, the defense argued, the General Assembly proclaimed that texting alone isn’t reckless driving. The judge agreed and dismissed the charge. Now there are lots of different ideas floating around about how to amend the law to improve the situation. Here’s how to fix it: repeal it! We don’t need tons of laws. We need a clear set of laws that are easy to enforce and clear for citizens to understand. If a person is actually causing a hazard while texting, that certainly could be a charge of reckless driving. Why do we need an extra law for that? It just doesn’t make sense. In Virginia, Must You Sign the Ticket the Officer Gives You? Are You Admitting Guilt?